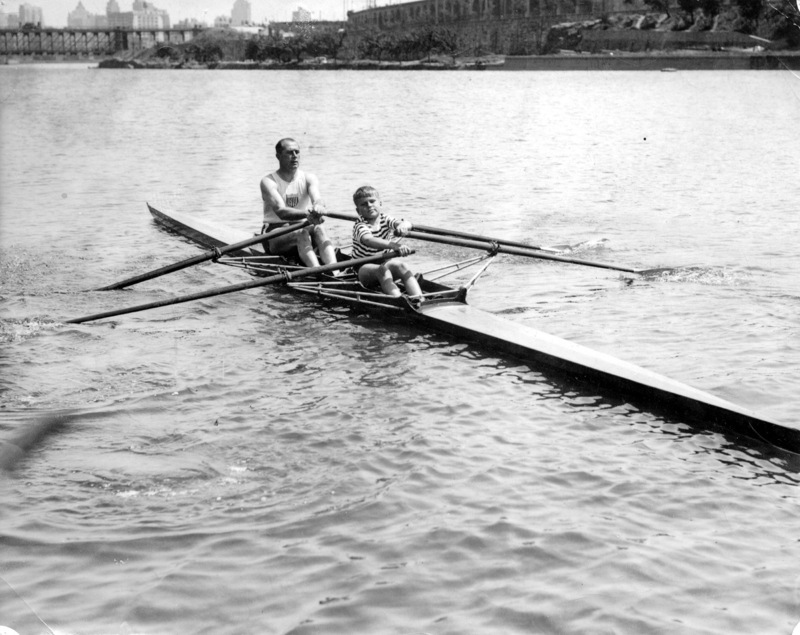 John B. Kelly with his son John Jr. sculling on the Schuylkill River, Philadelphia, PA, June 6, 1935. One of the most accomplished oarsman in the history of rowing, Philadelphia bricklayer Jack Kelly (1889-1960) won 126 straight races in the single scull and three gold medals in the 1920 and 1924 Olympic games. Kelly was also the father of actress Grace Kelly and Jack Kelly, Jr. (1927 -1985) another accomplished oarsman who competed in four Olympic games.